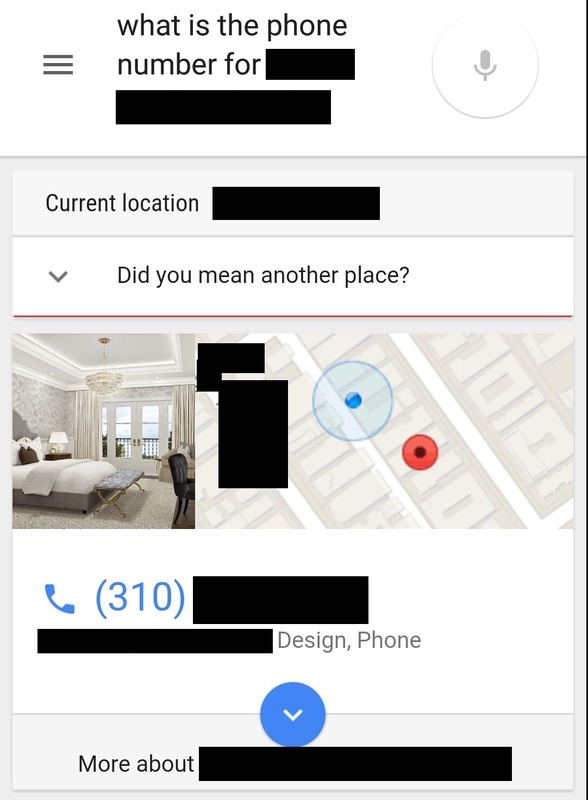 Google Geocontextual Search Live With Multiple Commands, Like "OK, Google - What's The Phone Number For This Place?" 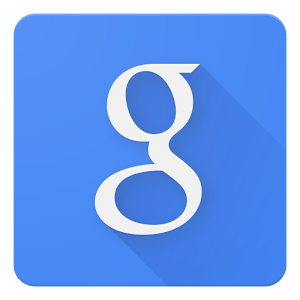 At an event in Paris, Google apparently showed off a brand-new feature of the search app that is aware of your current location in relation to your queries. Google calls this Location Aware Search, or geocontextual search if you want to get technical. Basically, this allows you to ask questions without specifying an address or proper place name and still get information if you're near said place. Sorry for all the blacking out - but my query was "What is the phone number for this place?" and this is what I was shown. When does this restaurant open? What's the name of this church? What's the phone number for this pharmacy? I tried the "what's the phone number of this place?" command, and while I'm at home, Google did at least try to guess I was asking about a nearby business marked in Google Maps and provided the phone number. But if I tried something you'd think would be even simpler - "What is the address of this place?" - it gave me nada. So, this may not be 100% finished just yet. But it's very cool regardless. Users on Reddit confirm the feature is working in at least one non-US country as well. We don't have all the details on this one just yet, but if you want to try it out and see just what it's capable of, feel free to let us know how it works in the comments.